Lucas and Garrison | An Intersection of Saint Louis thought, lives, times and places. 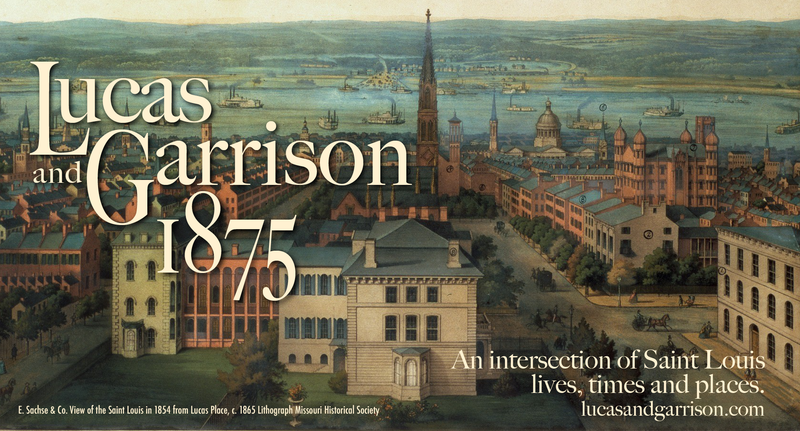 Lucas and Garrison is an eclectic collection of historical research, legacy text, antique photographs and illustrations, video vignettes and biographical sketches intersecting the history of Saint Louis in the late 19th Century. The project began as the historical artifacts of Central Presbyterian Church, which was started in Saint Louis in 1844, were assembled, digitized and archived. The work eventually morphed into a more extensive research study to help better understand the motivation of late 19th Century leaders to intentionally improve the quality of life in Saint Louis. Lucas and Garrison is about digging deep and unearthing some inspirational city stories that might teach us more about the people and places of an exciting era in an exciting city long past. We might even learn some lessons about doing a better job as citizens of Saint Louis today. Every life has a story to tell. Can we learn from the stories of Saint Louis’ past? We think the lives, times and places of an earlier era of growth and progress in Saint Louis can be instructive and inspirational for us today. Many Saint Louisans over time have chosen to devote themselves to doing what is right for their community and it has made a significant difference. History can be a great teacher and now is a great time to learn. Lucas and Garrison 1875 is about discovering and telling some of these Saint Louis stories. This era in Saint Louis’ life was considered the golden age of our history – rich with interesting people and places. The Compton and Dry Map Book and the year 1875 is the epicenter of our research. The Missouri History Museum, one of the finest museums in the country, has also done a wonderful job of preserving St. Louis’ history and making is available for research. 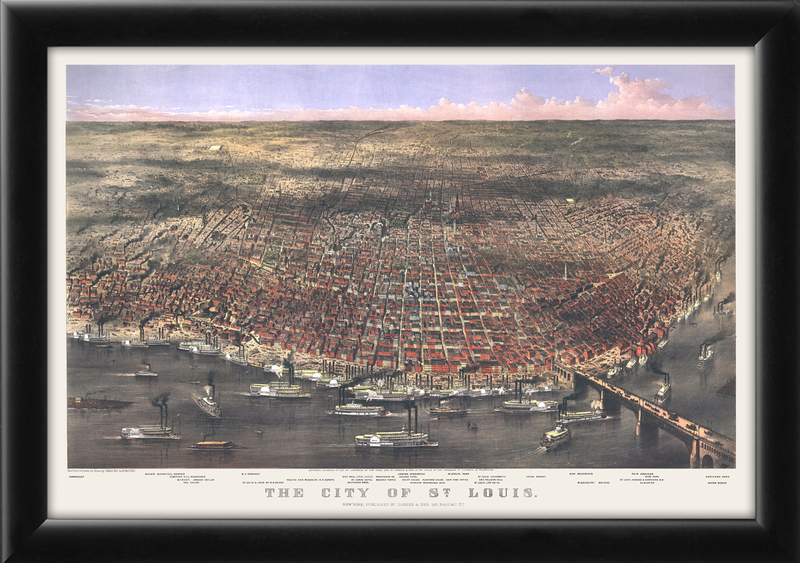 In 1875 Saint Louis was one of the premier cities in the United States and even the world. The stories from the entire city are far too many to be addressed in full. Lucas and Garrison sets some geographical parameters for our research. Central Presbyterian Church, now located at Hanley and Davis in Clayton, Missouri was established in the City of Saint Louis in 1844. Its first location was at the corner of 6th and St. Charles Streets. As the church grew, the congregation then moved to the corner of 8th and Locust Streets in 1848. During the building of the great Eads Bridge over the Mississippi River in the early 1870s, railroad tunnels were constructed to connect the bridge to the rail terminals farther south and west in the city. The foundation of the 8th and Locust church was so badly shaken by the tunnel excavation and blasting that the building was eventually condemned requiring an another unforeseen move. The church leaders bought property to move farther west and architect Charles Ramsey designed a beautiful new building to be built at the northeast corner of Lucas and Garrison. The new church, even though not yet completed, was included on Plate 71 of the Compton and Dry maps in 1875. This is the target area of our research – the neighborhood of Lucas and Garrison. Compton and Dry map key for the 110 map plates. Our focus is on Plate 71. Each of the 110 Dry and Compton directory maps or plates includes a list of some of the people who resided in that specified area of the city. Residences and businesses referenced on the maps are numbered so we know exactly where these people lived in 1875. Old city directories pinpoint their addresses and their businesses even more accurately. Many of the people living in close proximity to the intersection of Lucas and Garrison and listed on Plate 71 were prominent leaders who lived fascinating and productive lives. They were Saint Louis luminaries whose stories have mostly been lost or forgotten over time. Many of these people were very successful, and they gave back to the city they loved. The lives of these Saint Louisans will be the basis of the profiles that we will assemble. Some of the profiles will be described on web pages including gathered resources and some will be represented through video vignettes or historical storylines. As we’ve stated, the initial research targets will be the 104 names and places listed on Plate 71. Many of the residents living around Lucas and Garrison in 1875 were remarkable people who lived intriguing and eventful lives and made a difference in their community. Many of those lives still impact and benefit the City of Saint Louis today. Their lives mattered. The common denominator in many of these stories is that these people were leaders of great character. Often their lives and stories also lead us down rabbit trails, back stories and coincidences of Saint Louis history. Lucas and Garrison is also about wandering down these historical rabbit trails to see what can be discovered about Saint Louis places and institutions. This is the thrill of the journey – unchartered, obsessive research simply for the sake of seeing where it will take us! 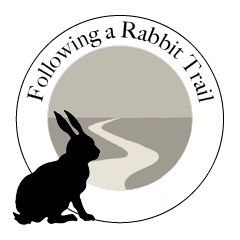 When the “Following a Rabbit Trail” marker appears on a profile page, simply click on it to follow down that trail for more information. Possibly Interesting, But So What? The study and contemplation of history should not just entertain and increase our base of knowledge. We should also gain insight and wisdom. We should learn from our previous triumphs and failures as a people. Wisdom helps us to determine what truly matters in life, how to best actualize our highest calling and live valuable, productive, mutually beneficial lives. As wisdom is intentionally applied, not only individual lives but communities at large can and should be changed for the better. We can’t alter our past, but shouldn’t studying and understanding the lessons of previous generations provide us with the wisdom to sculpt a better future? After many centuries of cultural evolution, mankind should be doing a lot better. The pursuit and application of wisdom should be an instructive guide as to how we should live. The past should influence our future. It would take all of us cooperating to use our knowledge, gifts, energy and resources to turn things around. It is a daunting responsibility, but don’t we owe it to future generations to be and do better? We pray Lucas and Garrison 1875 can be both an intriguing historical journey and an inspiration to positively impact our community.